Recent research has shown that Acupuncture can greatly enhance the success of ART procedures. Adding acupuncture to your procedure has great benefits! Most of Acupuncture’s benefits will specifically increase the response and success of all forms of Assisted Reproductive Technologies (ART), including Intra-Uterine Insemination (IUI), In-Vitro Fertilization (IVF), and IVF with Intracytoplasmic Sperm Injection (ICSI). Studies have focused on how Acupuncture can increase the blood flow in the uterus and ovaries creating a more suitable and fertile environment for mature follicles to both develop and implant. Additionally, treating the male at the same time will allow them to provide better samples with better counts, and motility/morphology rates. TCM is a wonderful and highly effective complement to your Western fertility treatments. Acupuncture reduces the stress associated with assisted reproductive technologies (ART), and therefore reduces the negative effects that stress has on the hormones related to reproduction. Acupuncture also strengthens and supports your body so that your Western fertility treatments are more effective. Most impressive are recent studies showing that acupuncture can significantly increase the success rates of ART. This is very important, as the success rates for ART are not generally high. For example, national data indicates that IVF works 33% of the time for women age 30 and under, 29% of the time for women in their mid-30s, and 5-15% of the time for women age 40. On average, women go through three to seven cycles of ART before they either conceive or stop trying. A women’s response to ART depends on the state of her endocrine health in the months preceding ART, when follicles are developing in the ovary – this is why it is important to start your TCM treatments in advance of your Western treatments, if possible. The most well known study of acupuncture and IVF support was a German study published in the April 2002 issue of Fertility and Sterility. This study showed that using acupuncture on the same day as IVF embryo transfer, both before and after the transfer, increased the success rate to 42.5% – the success rate for the group not receiving acupuncture was 26.3%. A more recent study conducted in Denmark in 2006 evaluated acupuncture and IVF support – specifically the effect of acupuncture on patients undergoing IVF with ICSI. Acupuncture was performed on the same day as embryo transfer, both before and after the transfer. The group receiving acupuncture had significantly higher conception and ongoing pregnancy rates, at 39%, than the group which did not receive acupuncture, whose success rate was 26%. Please read the Resources page to learn more about acupuncture and IVF support and see the latest articles and research on how acupuncture can increase your chances of conception by 40-60% when coupled with your IVF procedure. Acupuncture can also prevent miscarriage after a successful IVF transfer. We encourage our patients to continue treatment throughout their first trimester. We will work with each patient to find the right solutions and get you on the path to fertility! 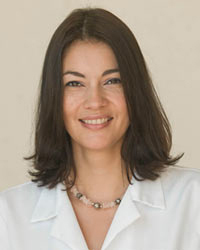 Call Andrea Schmutz AP, DOM at 786-537-7022 to learn more about her IVF Support program or to book your first session. She is located in Aventura Florida minutes from North Miami Beach, Golden Beach, Sunny Isles and Hallandale Beach.